Everyone loves a good TED Talk, mostly because quick lectures appeal to the modern human attention span. They pack a lot of useful information into an easily digestible format, and in recent years, all types of organizations have started holding events featuring quick talks. 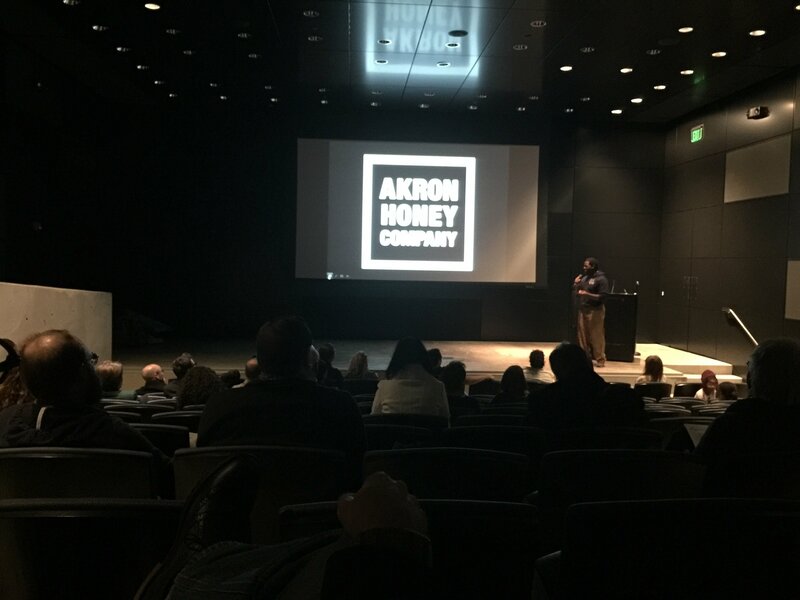 Akron Art Museum has caught on, and now holds an annual quick lecture series called Slide Jam, featuring local artists, entrepreneurs, and community members who share their experiences as innovators and creators. Slide Jam: Snack takes place May 5, 2016, and this one is sure to appeal to the food-lover in everyone. This installment is curated by Edible Cleveland and Countryside Conservancy, and is free and open to the public. There will be six quick, entertaining, and accessible talks from local chefs, local farmers, and artists and entrepreneurs who specialize in local food business and who find inspiration in food and in the Akron Art Museum’s Snack exhibition, which opened January 16 of this year and runs until September 3. This year’s presenters have a lot to offer. Shane Wynn, winner of this year’s Knight Arts Challenge for her #overlooked photography project will present her food photography. Andy Taray of Ohio Boy Art & Design and The Social Department will also be presenting. Taray was recently featured as one of The Devil Strip’s “Seven Artists to Watch in 2016,” and Unbox Akron included a t-shirt from The Social Department in the April box. Chef Ben Bebenroth of Spice Acres, Spice Kitchen + Bar, and Spice of Life Catering Company will present this year as well. Spice Acres is a farm in Cuyahoga Valley National Park and provides ingredients for both the restaurant and catering company. Spice Kitchen + Bar and Spice of Life Catering prepare locally grown food and design seasonally inspired menus. Presenters will also include Chef Jamie Simpson of The Culinary Vegetable Institute, which provides the world class innovative chefs a place to learn and teach techniques for growing and preparing vegetables and herbs; Abbe Turner of Lucky Penny Farm; and Salli Swindle of They Draw and Cook. For more details, visit the Slide Jam Facebook page.